Today is Veterans Day. 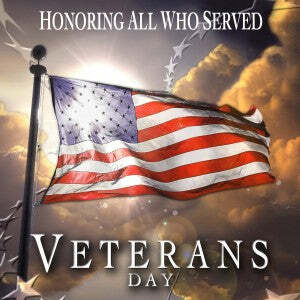 What are we celebrating when we honor Veterans Day? We’re showing our appreciation of those who have served their country in the armed services. We call those people veterans. Everything Summer Camp extends immense gratitude to those who have fought for our freedom. Here’s something you might not have known about Veterans Day. This American holiday shares the same date as two other holidays that are recognized in other areas around the world. Those holidays are Armistice Day and Remembrance Day. What’s special about these three holidays? Why do they all share the same date? November 11 marks the end of World War I (five years shy of a century ago) when a truce was made with Germany. Veterans Day is pretty much the American celebration of Armistice or Remembrance Day. Although, our intentions are to honor all veterans—not just those from the first World War. The holiday started out as Armistice Day, proclaimed by Woodrow Wilson in 1919. Seven years later, the holiday was made official with appropriate ceremonies and dedicated to world peace. Nearly 20 years after that in 1945, Raymond Weeks, a veteran of World War II, thought to expand the celebration to include all veterans instead of only honoring those from World War I. Veterans Day can sometimes be confused with Memorial Day. While they ARE similar to each other, Memorial Day restricts who is being honored. It is a day meant to remember those who have fought and died while serving their country. Veterans Day is meant to honor both those who have fallen and the ones who survived. It’s taken a long time for the holiday to become what it has come to be. So appreciate those around you that you may know who have served in the armed services for your country and wish them a Happy Veterans Day.